Learn about how the DNA of #CRE survey can give you new insight into the world of CRE and the cutting edge of CRE tech in our recent webinar. Last week, QuantumListing CEO David Perlmutter hosted a webinar that featured the brains behind the awesome DNA of #CRE survey and report, Linda Day Harrison from The Broker List and Buildout’s Ewa Baska. Even if you didn’t make it to the webinar, you can read about it here and watch it below. You can also sign up for all future QuantumListing webinars HERE, and we’ll email you about all future webinars. 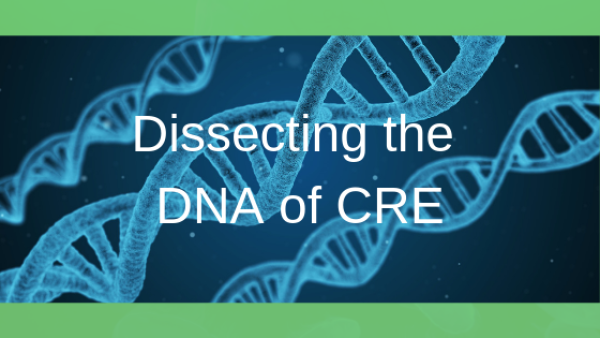 What is the DNA of #CRE? DNA of #CRE is an annual survey of the commercial real estate industry that’s put out in collaboration between The Broker List and Buildout. The survey, which is currently in its fourth year, asks brokers and marketers from across CRE about their businesses and what tech tools they’re using. The survey aims to take the pulse—or decode the DNA—of the CRE industry, and lets brokers and marketers take a look at how they stack up against the competition. Following the survey period, the DNA of #CRE team publishes a beautiful report that analyzes the data. During the webinar, David, Linda, and Ewa discussed some of the questions on the survey and how it’s useful for brokers. For instance, the survey asks about which tech tools you’re using, and their importance in your tool kit. So you could, for example, respond that you use QuantumListing every day, and it’s vital to your business. And then when the survey results come out, you can compare your answers to others in the industry. Linda and Ewa also talked about some of the other insights from the survey, like surprising gender differences in CRE. For instance, women brokers gravitate much more to landlord representation and retail. After covering DNA of #CRE, the conversation moved on to a discussion of the CRE tech landscape, and the technologies that will be driving CRE going forward. David, Linda, and Ewa were joined by Andrew Burmudez, CEO of AI-powered CRM company Digsy.ai, to talk about how artificial intelligence is transforming CRE. They cut through the buzzy handwaving around the term “artificial intelligence” to talk about what AI is actually being used to do in CRE. Andrew said, “AI can piece together data and let you see buying signals.” For instance, AI-powered CRM software like Digsy.ai can tell you who is interested in your listings and how you should follow up with them based on the way they interact with your communications. Ewa noted this is a dramatic improvement on traditional CRE marketing tactics, which require manually sifting through and analyzing metrics like click-through rates. This is a tedious process and requires lots of testing, meaning that busy marketers often don’t even get to do it at all. Artificial intelligence, Andrew added, “is like flour.” You can’t do much with it on its own, but there are countless useful applications of it. You can watch the whole webinar below. Do you have 10 minutes to spare and want to see how you stack up against the CRE competition? What is the greatest barrier to trying a new commercial real estate listing service? The 2018 DNA Of #CRE Survey Results Are In!